They call it an “en rama”, by which I assume they mean that they have not filtered it but the expression seems odd in relation to an oloroso. En rama literally means “still on the branch” like a fresh fruit or tomato – seems odd for an oxidated wine but maybe it is just me. As you can see it is a yellowy orange brown in colour and just a touch cloudy – probably the lack of filtering. 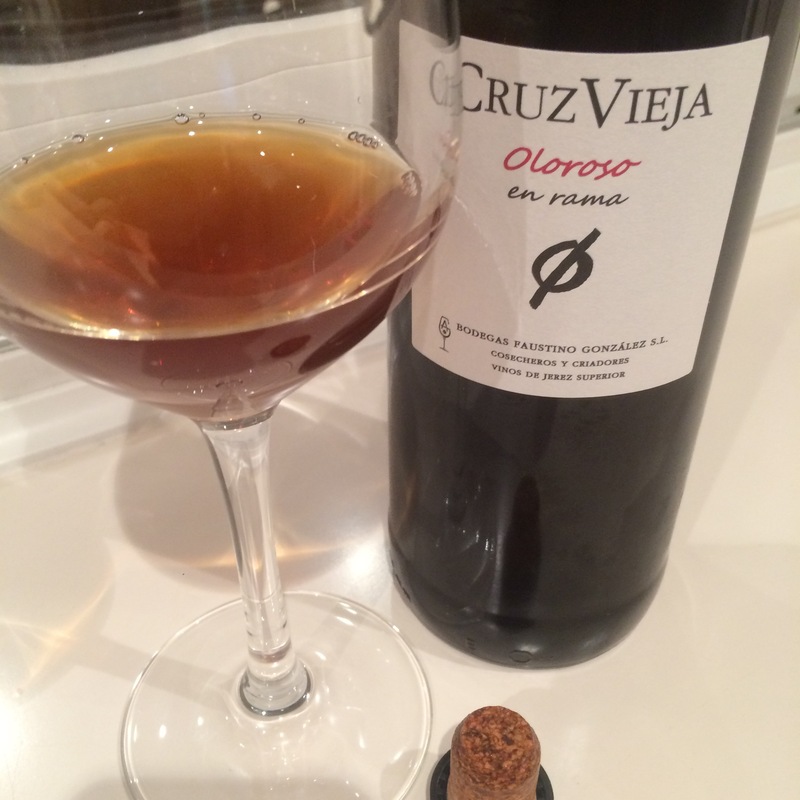 Not the biggest nose for an oloroso – little bit meek – but a pleasant one, sweetness, hints of ginger, cedar and reduction/old barrel. On the palate it has a little bit of acidic, salty buzz, sugar burnt black. Not much power, to be honest, and although it has some heat and nice flavours it comes across as slightly hollow and lacking in center. Nice finish – buzzy burnt caramel – but again not overly long. A nice enough wine – maybe just a little soft centered.